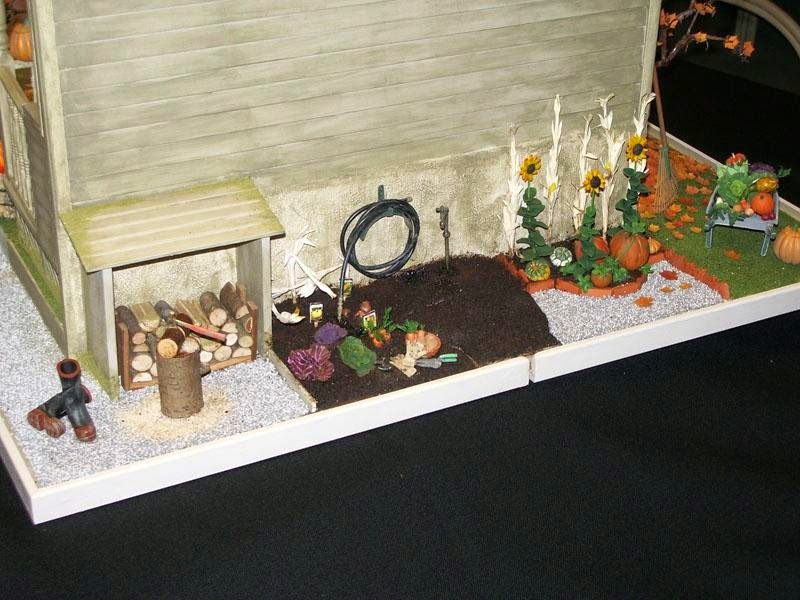 AIM member Judy Lauson shares with us her delightful Halloween scene. 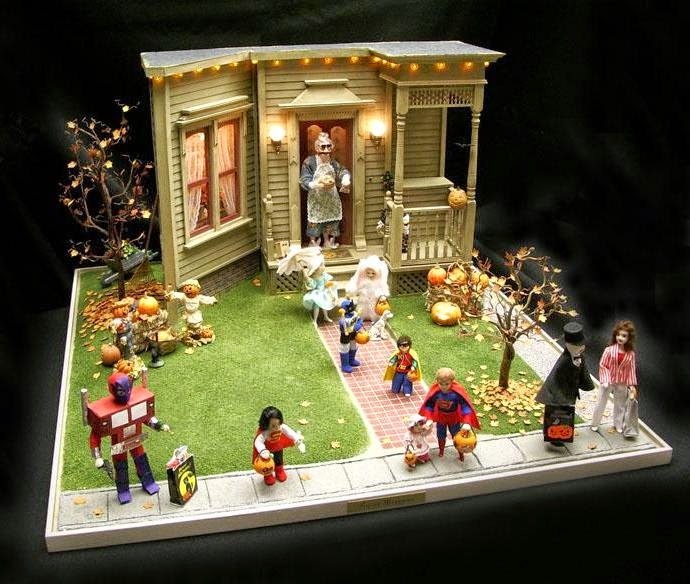 "Sweet Memories depicts a Halloween scene with many children visiting a neighbourhood house. Each child is wearing a costume that is a replica of the costumes worn by my son and daughter over a decade ago for trick and treating. Joining in the fun the old lady giving out the treats is also wearing a mask and so is her cat besides her. The doorbell at the door actually chimes when pressed. It is also harvest time, the rake leans against the wall ready to rake up the fallen leaves, the wheelbarrow is full of vegetables plucked from the pumpkin patch . and the wood pile is being made ready for the winter to come.